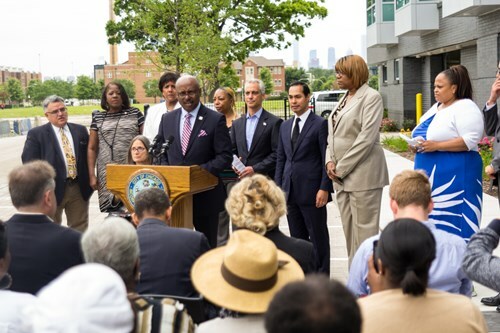 U.S. Housing & Urban Development Secretary Julian Castro visited Chicago today to announce a clarification to the 1968 Fair Housing Act that officials say will improve access to affordable housing in cities across the country. HUD finalized a bureaucratic rule that Castro says will correct shortcomings in the federal agency’s provision of fair housing. The 1968 law, part of the Civil Rights bill, obligates HUD and its local affiliates to “affirmatively further fair housing,” a lofty goal that “has not been as effective as originally envisioned,” according to the new HUD rule. “This represents a new partnership with cities,” said Secretary Castro, a former mayor of San Antonio, Texas. Standing in front of Chicago’s newly expanded Park Boulevard—the mixed-income housing development was formerly Stateway Gardens, part of the corridor of South Side housing projects that included Robert Taylor Homes—Castro said the new rule will make publicly available data and mapping tools to help community members and local leaders establish local goals for the development fair housing. 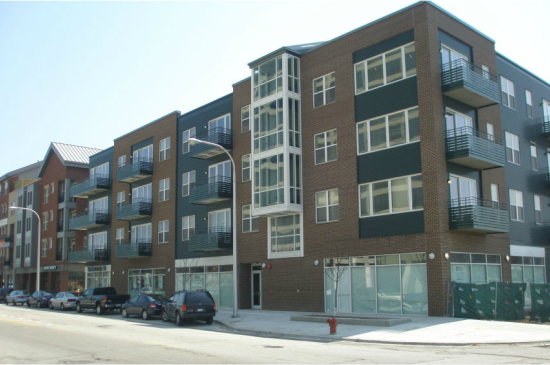 He added that Chicago had already used the newly available data for a preliminary exercise linking affordable housing and transit planning. The change also allows local housing agencies more time and flexibility in presenting their fair housing priorities and goals to the federal government. Castro referenced a recent Harvard study that found kids from low-income neighborhoods were statistically less likely than their wealthier counterparts to achieve upward mobility. “A zip code should never prevent anyone from reaching their greater aspirations,” said Castro.